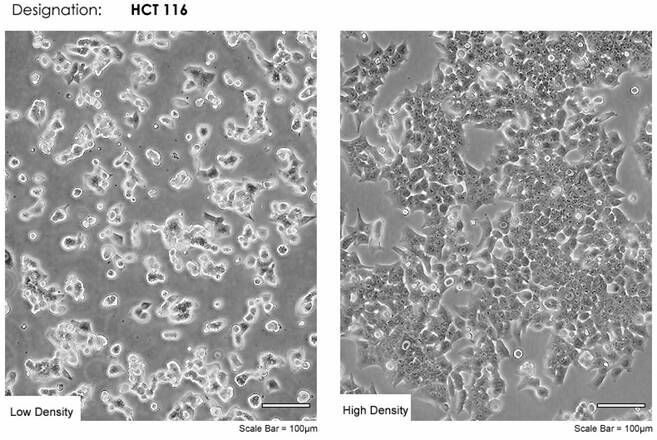 This cell line is suitable as a transfection host. This line has a mutation in codon 13 of the ras proto-oncogene, and can be used as a positive control for PCR assays of mutation in this codon. The stemline chromosome number is near diploid with the modal number at 45 (62%) and polyploids occurring at 6.8%. The base medium for this cell line is McCoy's 5a Medium Modified. To make the complete growth medium, add the following components to the base medium: fetal bovine serum to a final concentration of 10%.